This product support multi-function, such as motion detecting high-definition video recording. You may use this product as a web camera or transfer media file through by a mini USB port. It's easy to transfer media file from the micro SD card (Memory card slot support up to 64GB) to your computer by the mini USB port. 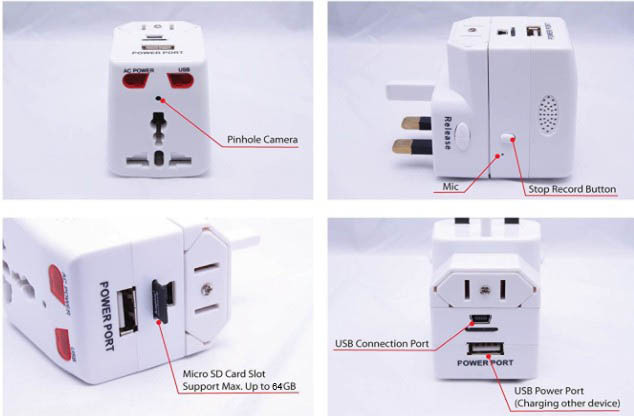 The 5V USB port can be charge for other electronic device. 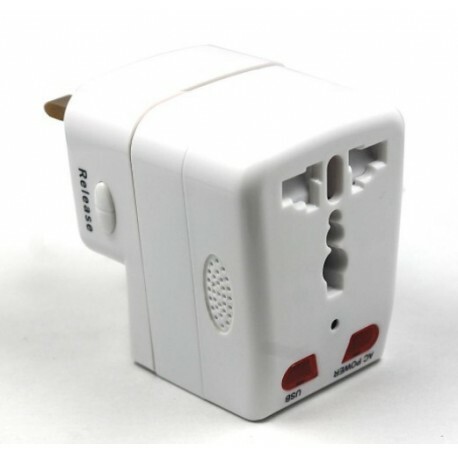 Once you plug in the Hidden Camera Travel Universal Plug, the video record function will get start and you may press the stop button to stop the video recording. 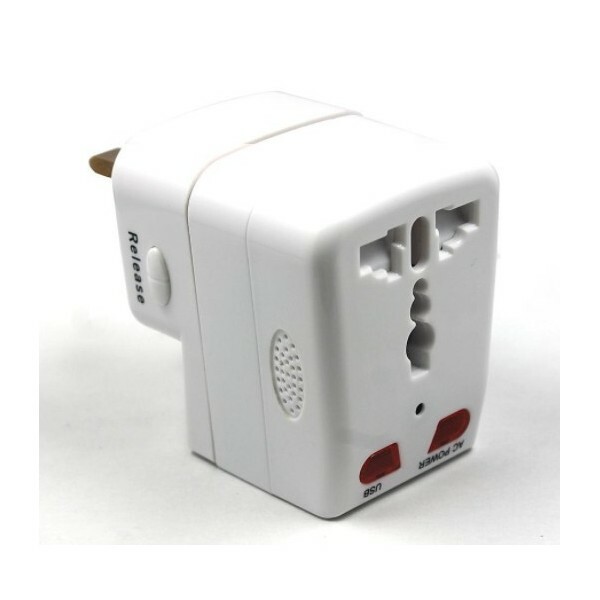 This universal plug can plug in other electronic device during the video is recording. This is a great item for surveillance and spying.